In his day, Don Corleone would not be crossed by the hardest of characters. Today there might be a new Corleone, metaphorically speaking of course. A Los Angeles search engine marketing firm, Keyword Search Pros (KSP) believes it is Google who is shaking down its current advertisers. 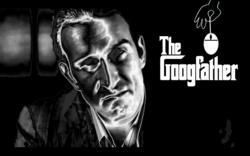 They have officially released a contagious spoof off the original Godfather this week entitled, The Googfather. The Googfather Video relates to Google Adwords customers who feel they are getting the shorter end of the stick with their advertising program. Google Adwords is the dominant search engine platform for advertising online and continues to show increased revenues every quarter. Googles financials show a 32% increase year over year from Q2 earnings published this past July. Their Display Network is where advertisers can pay for ads displayed on Google AdSense customer websites. That revenue source increased about 20% during the same period. The aggregate number of paid clicks increased 18%. KSP director, Peter Dulay commented, We dont believe there are that many new advertisers spending the extra $ 2.2 billion last quarter. Much of these revenues are coming from existing advertisers who are simply paying more to get their share of profits. We wanted to make a little in-office movie about that but we didnt expect it to go this far. The Googfather, played by Adam William Ward, is quite convincing with his authoritative mob-boss tonality. We had ourselves a deal, see? I get you the clicks. You get me my cut! demands the Googfather. Other search engine marketing innuendos are placed into Googfather scenes which make the connection with advertisers one of a comedic nature. The relevancy and metaphors used could be missed by a viewer not familiar with Google PPC advertising. However, the message is unmistakable. Writer Seth Hymes says, What started off as a crazy little idea for a short film turned into a great piece with a lot of meaning and significance. Hymes also played the business owner, Joe in the film. Hymes said, I like Google. I also have this overwhelming sense of powerlessness when I advertise with them. Its like I have to play things by Googles game or Im done for. They are the modern day mob boss. Dulay adds, I dont think Google would be mad if they watched this video. Theyre probably in for a good laugh. Google wants us to help advertisers correctly utilize the tools in Adwords. Awareness is really what this film is about. So far the Googfather has been well received by industry professionals who have secretly previewed the link on YouTube. KSP will be promoting this video on YouTube and in other video media forums this whole month. The Googfather short movie can be seen on KSPs Facebook Page. When asked if KSP would do the sequel, The Googfather Part II, they said they would be happy to if they knew it would be supported by the search engine community. Among other project ideas is that of The Keyword Search Pro who appeared in The Googfather and was played by KSPs Vice President, Aaron Putnam. Putnam feels that The Pro follows more closely with the parallel story line of his company but hasnt said whether he is interested in any more acting gigs in the near future. Im not an actor and I thought they were just doing a rinky-dink film. Seth asked me to be in it and I said Okay. When I saw the production they had going, I knew I had to step up my game. said Putnam. What comes next for KSP and its team of technicians slash film makers is uncertain. However, they have mentioned their desire to venture in viral video marketing for advertisers. This year, they have created an interactive advertising branch called GRAB Interactive. GRABs focus is to captivate and engage people into its advertisements integrating film, search, social media, and web creation. For now, Dulay Putnam plan on continuing their high-level focus on the PPC Management and SEO Company.